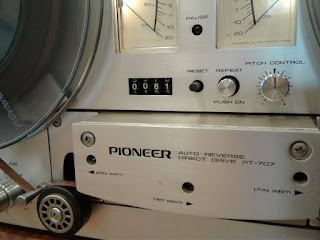 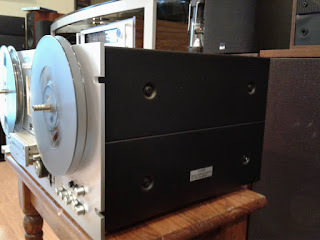 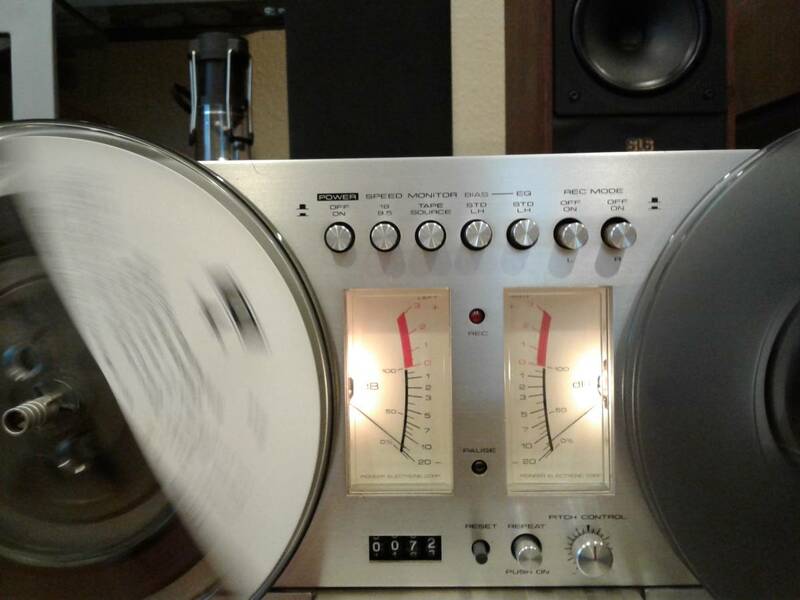 Recycled Stereo Plus: PIONEER RT-707 REEL TO REEL DECK - Wow! 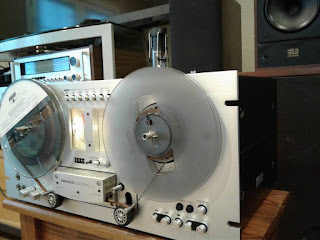 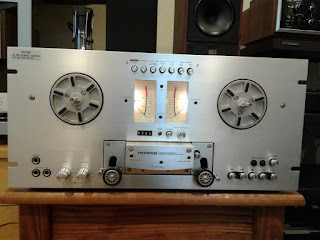 PIONEER RT-707 REEL TO REEL DECK - Wow! 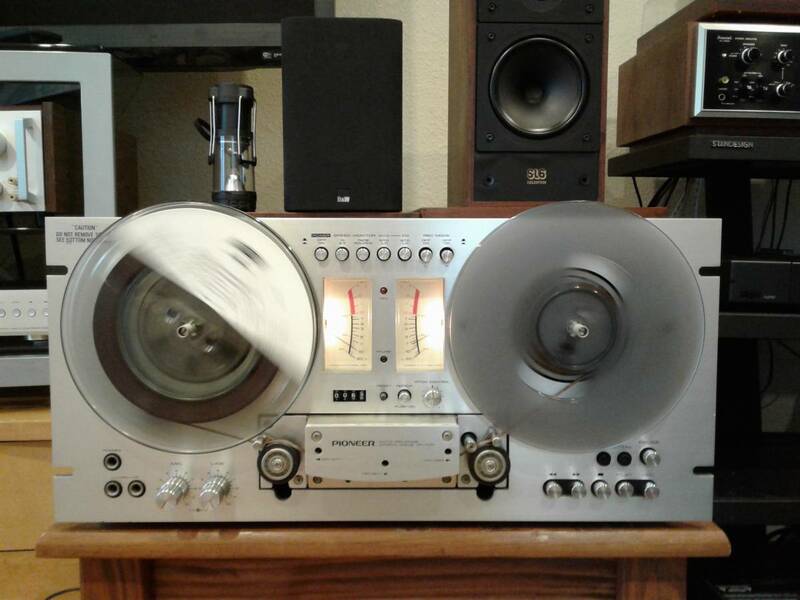 VINTAGE PIONEER RT-707 REEL TO REEL DECK! Sight and sound is excellent, like new condition. 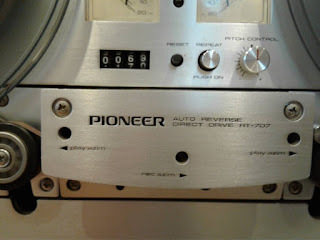 Play / Record is excellent, FF / Rew all good. 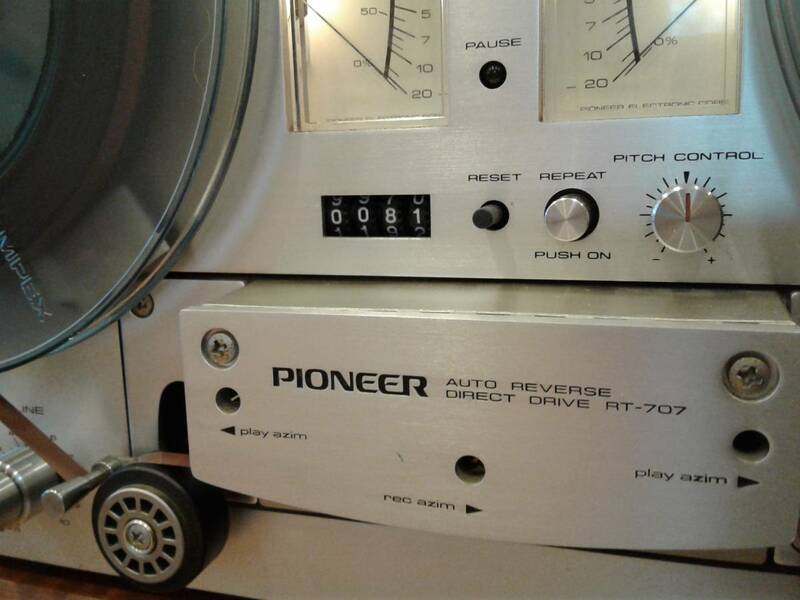 Direct drive auto reverse Pioneer VINTAGE PIONEER RT-707 REEL TO REEL DECK! 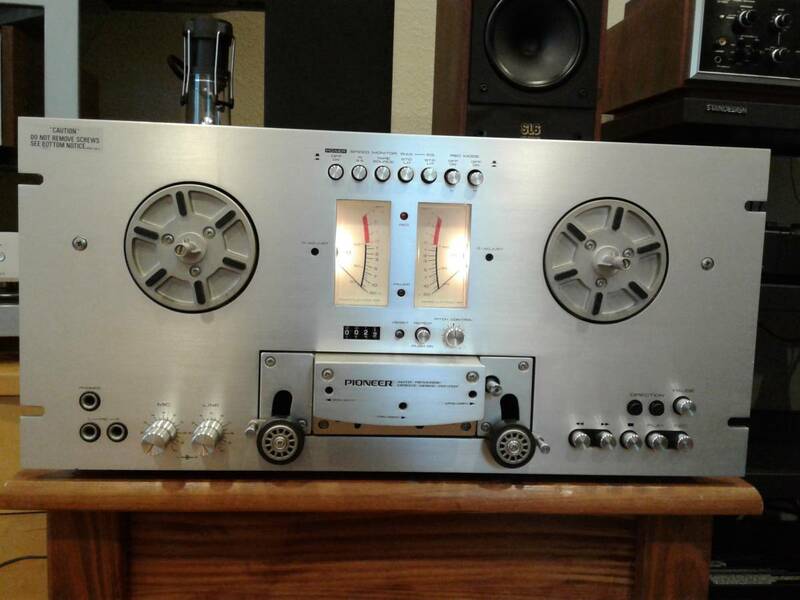 Excellent specs. This is a 4-head, 3-motor, 2-speed (19/9.5 cm/sec), auto reverse (playback only), continuous play with pitch controllable AC Servo Direct Drive capstan. 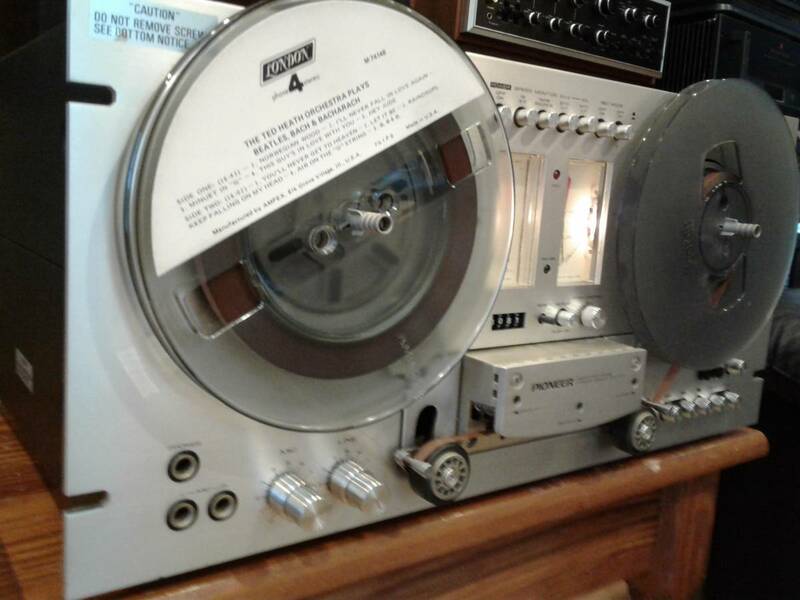 Format is quarter inch, 4-track, 2-channel stereo. Performance is 0.05% WRMS wow/flutter, 58dB signal-to-noise, 20 to 28,000Hz frequency response. 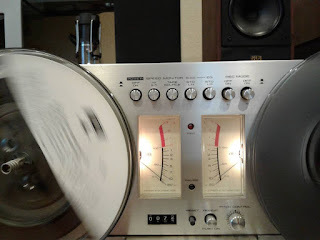 And the extras are 2-step Bias, 2-step EQ, ± 6% Pitch Control, Permalloy heads, independent mic/line with mixing, wide-throw VUs, auto reverse / infinite play and auto reversing index, electronic switching (logic circuit), Pause, REC ON/OFF switching for each channel.